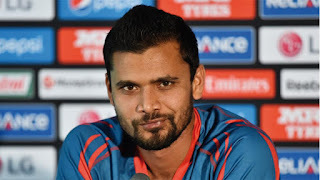 Bangladesh’s ODI captain Mashrafe Mortaza has been suspended for one match and fined 40 per cent of his match fee, while his players have been fined 20 per cent of their match fees, for maintaining a slow over-rate during the third ODI against Sri Lanka in Colombo on Saturday. Andy Pycroft of the Emirates Elite Panel of ICC Match Referees imposed the suspension on Mashrafe after Bangladesh was ruled to be two overs short of its target after time allowances were taken into consideration. 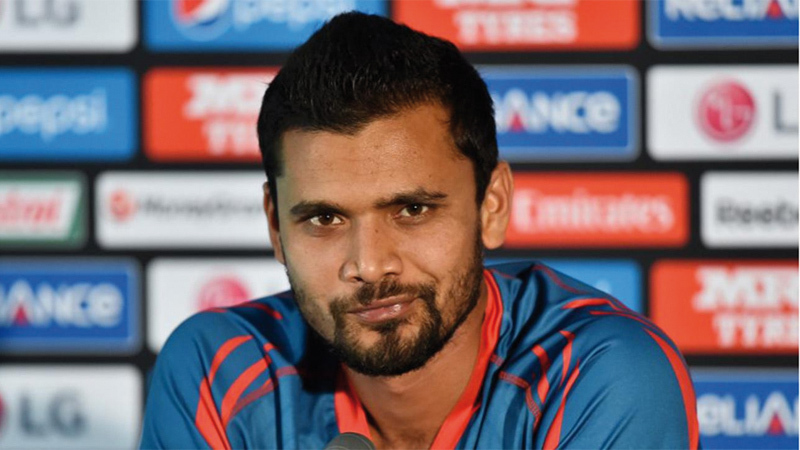 As Mashrafe had previously been found guilty of a minor over-rate offence during the first ODI against New Zealand in Christchurch on 26 December 2016, this offence constituted his second minor over-rate offence within a 12-month period which has led to a suspension. The suspension means Mashrafe will miss his side’s next ODI, which is currently scheduled to be in a three-nation tournament in Ireland in May 2017. The charge was laid by on-field umpires Michael Gough and Ruchira Palliyaguruge, third umpire S.Ravi and fourth official Ranmore Martinesz.